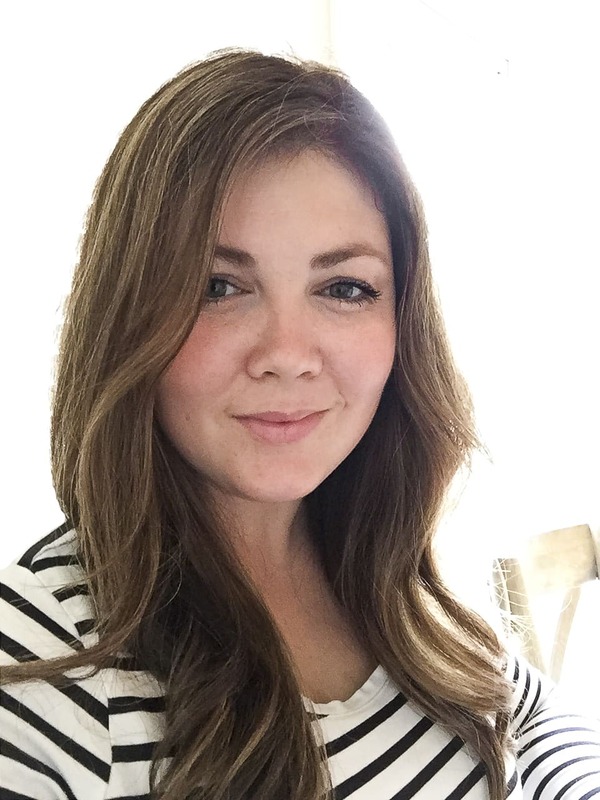 Hey, It’s Emily here from The Wicker House and I have a fun and easy project that I am so excited to share with you today. 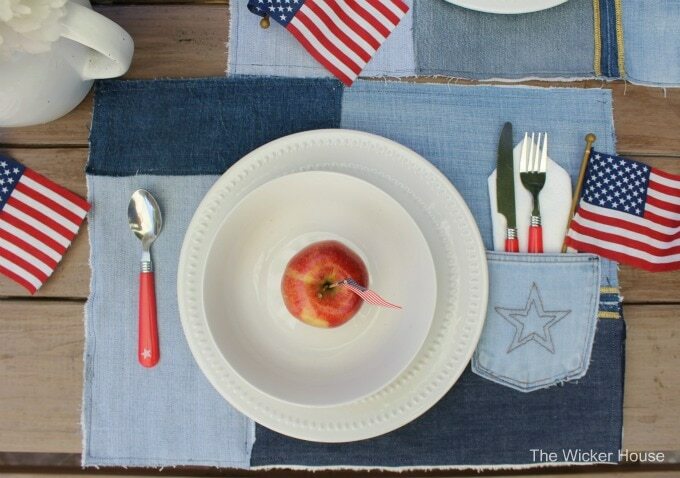 I sewed some really simple denim placemats and with them, I created a festive patriotic table setting. 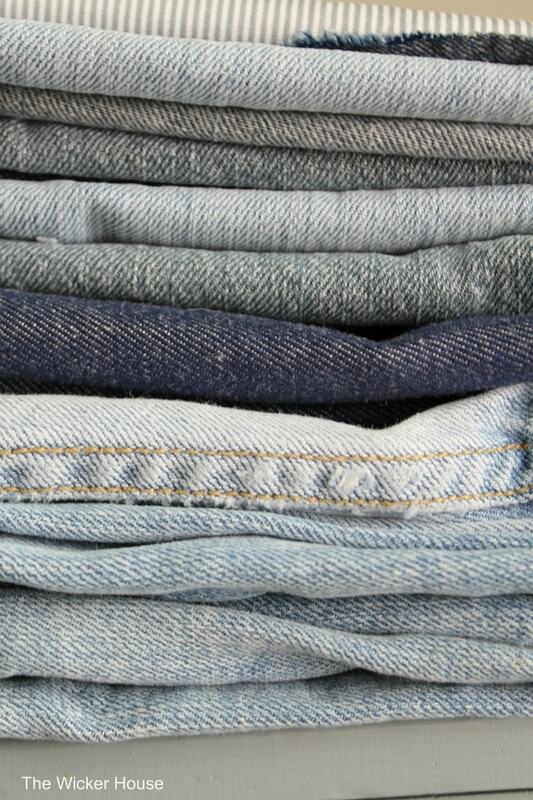 For this project you will need to start with several pairs of old jeans. 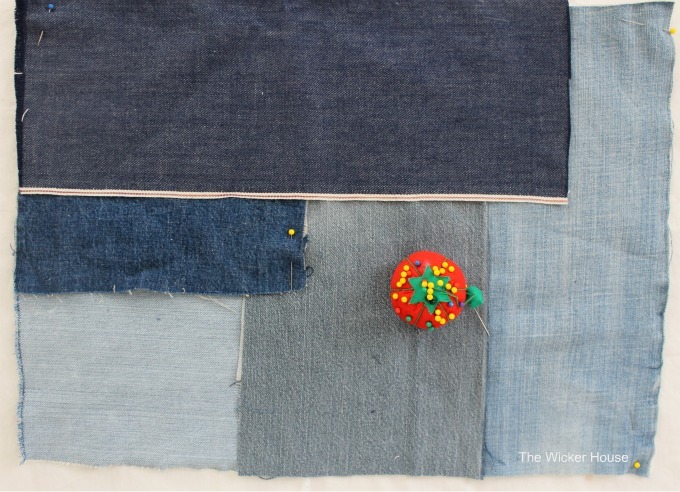 This was the perfect project for me since my boys tend to wear out their jeans so fast. 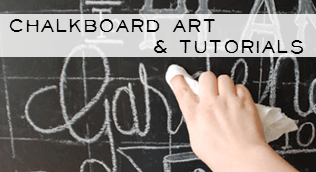 I used an existing placemats as a template and laid it on top of some thick white cotton fabric. I used a white cotton, but whatever fabric you have on hand is fine. 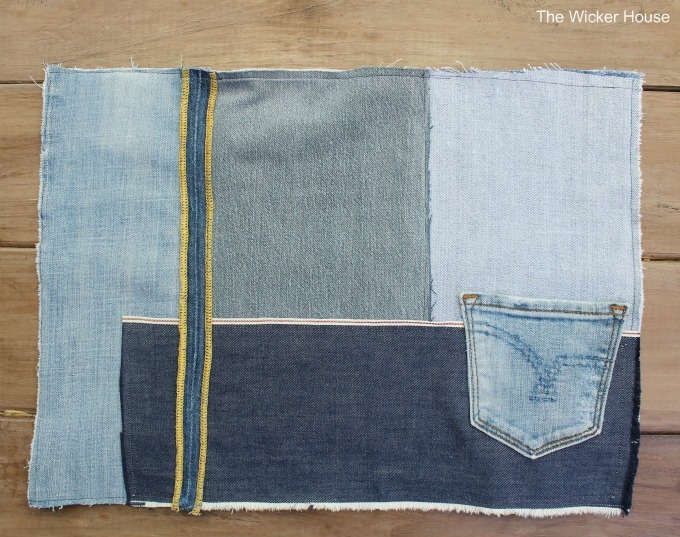 Using the template, cut the fabric which will be used as the back side of the placemat. 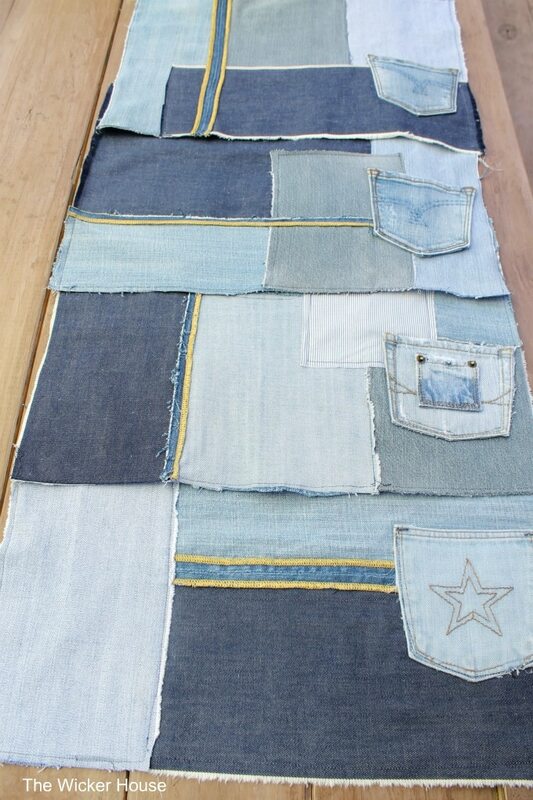 Next, I cut my jeans into all different sizes, and layered them onto the white fabric. 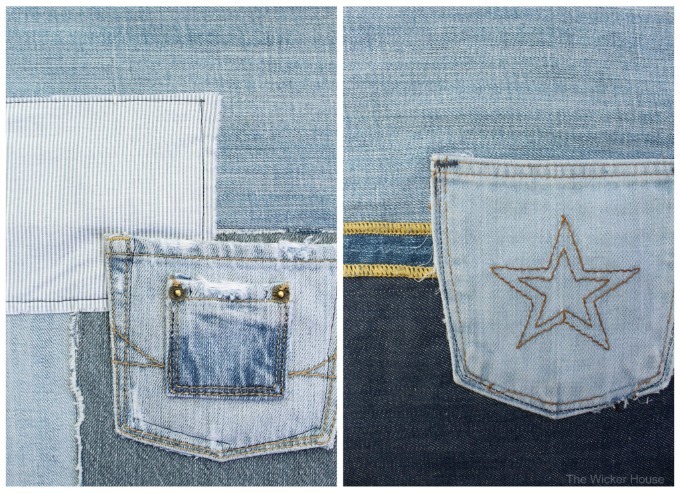 Once I was happy with the layout I sewed the denim onto the white fabric, layer by layer. 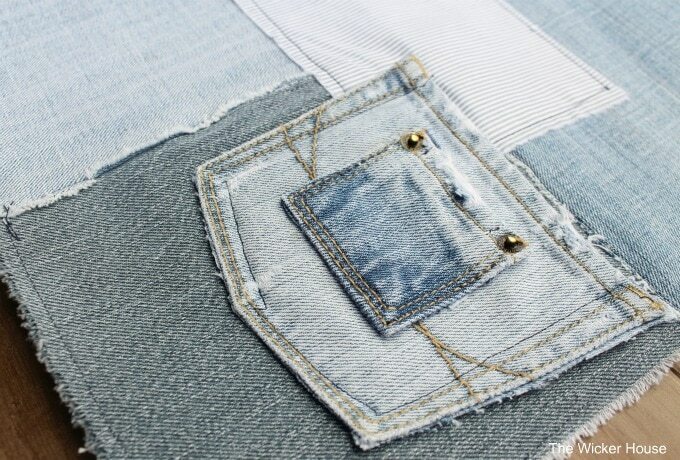 I found a strip of yellow stitching on the inside hem of a pair of jeans. I loved it so much that I used it on all four of my placemats. 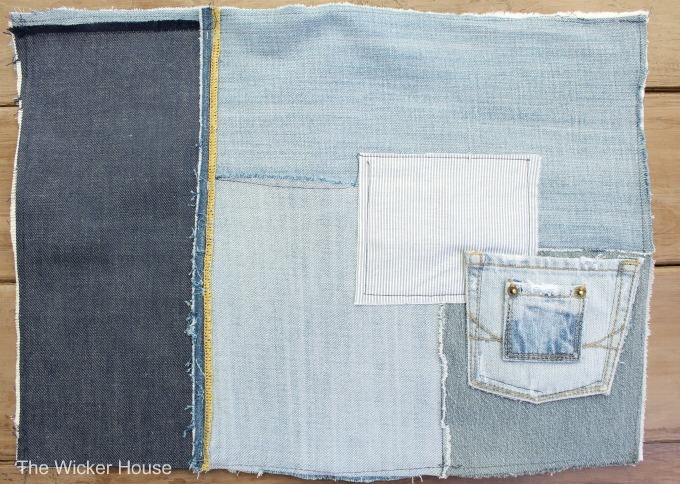 I also sewed a pocket onto each placemat to be used to hold utensils. I’m excited to see how much they will fray after I wash them. 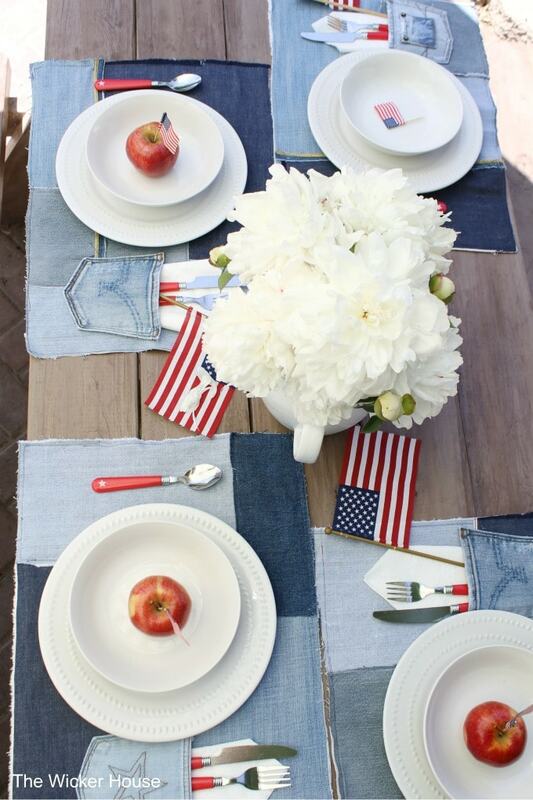 Even though I tried to keep each placemat pretty similar , I like that each one has a different look. 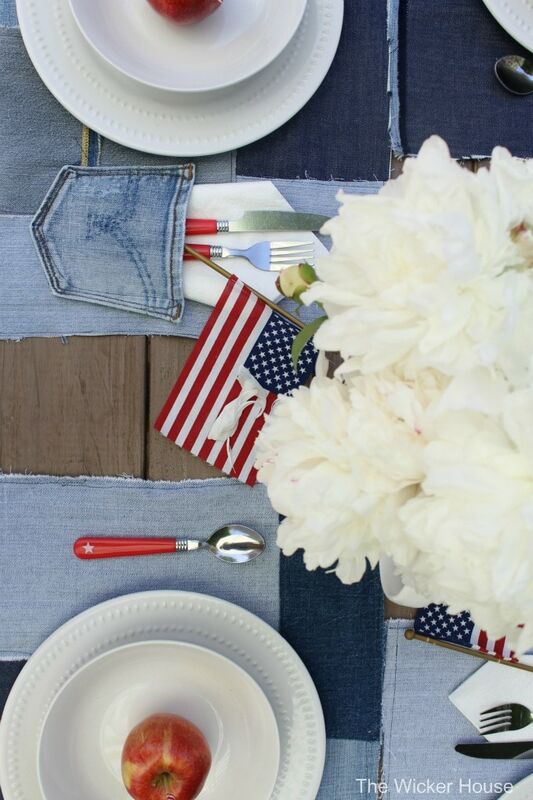 perfect for the 4th of July. 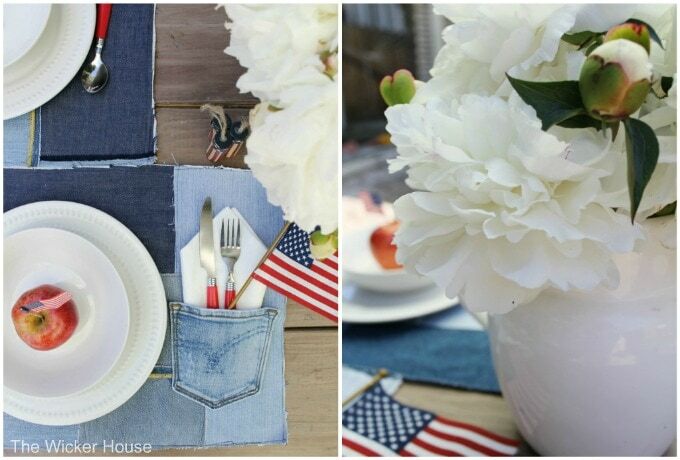 For the center piece, I placed some of my neighbor’s pretty white peonies in a white pitcher, keeping the table look really simple…And Yes, my neighbor told me I could take her peonies. 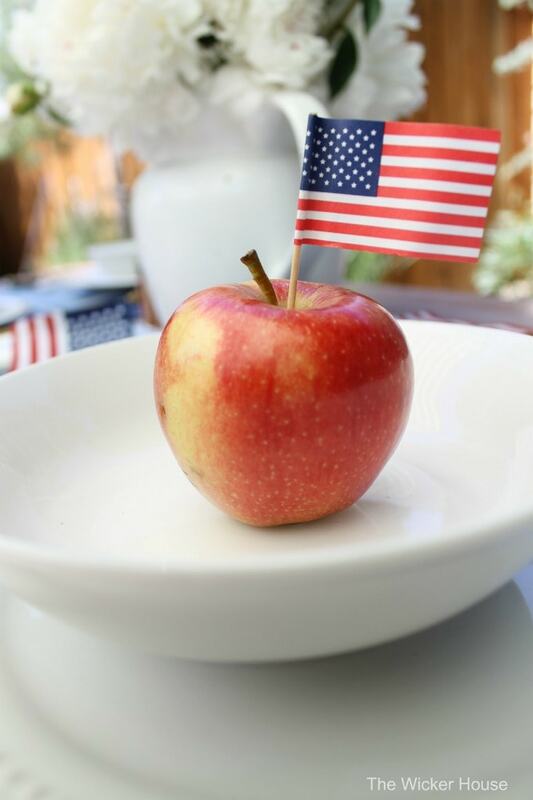 An apple with a flag toothpick is placed at each setting. 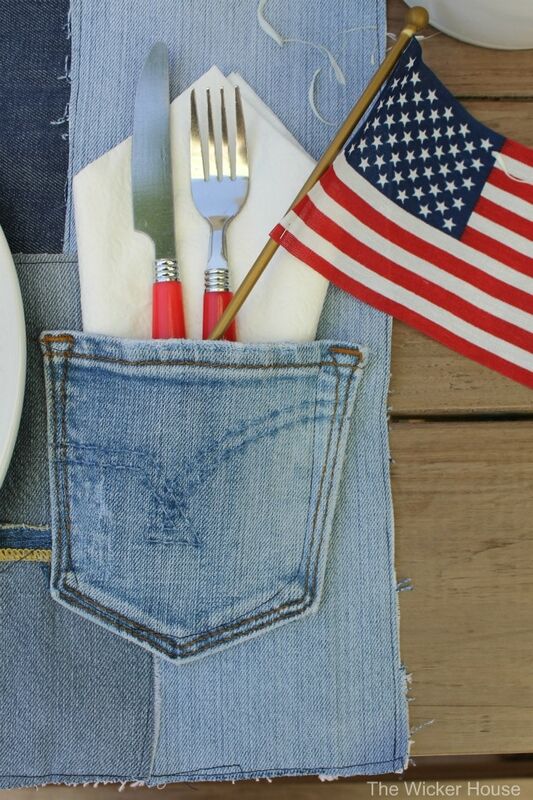 My favorite part of the placmats are the pockets. 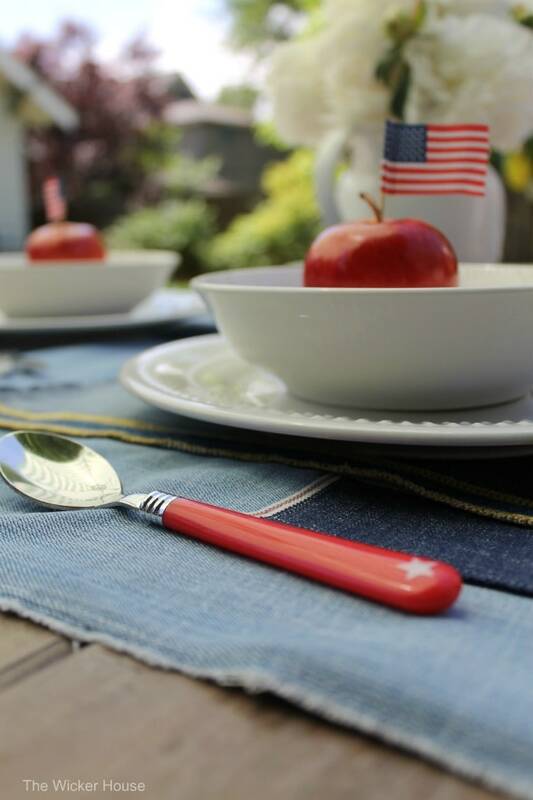 I think they are so perfect for holding a napkin, utensils, and an American flag. 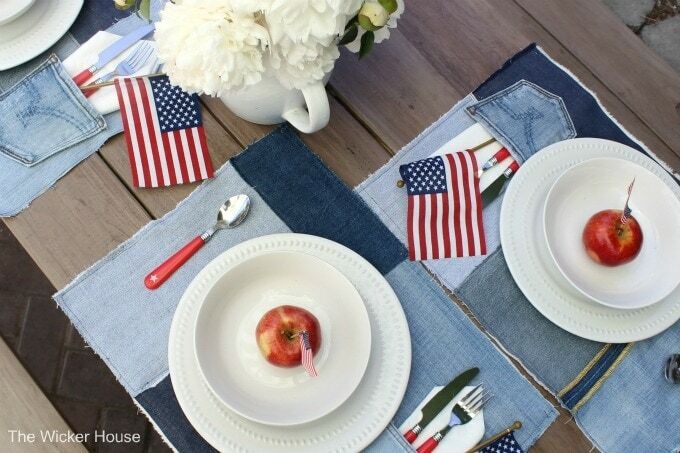 These denim placemats cost nothing, they were super simple to make, and they add a festive look to my patriotic table setting. 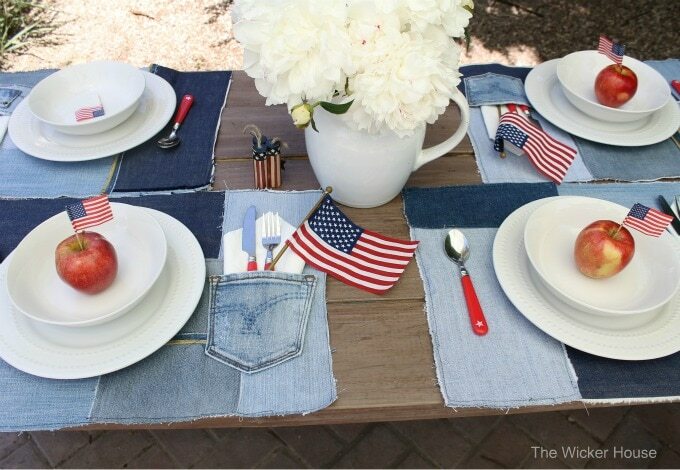 So the next time you get a hole in your jeans, or your kids outgrow theirs, or you decide to make cut-offs, or just whatever the reason, turn them into some fun placemats! 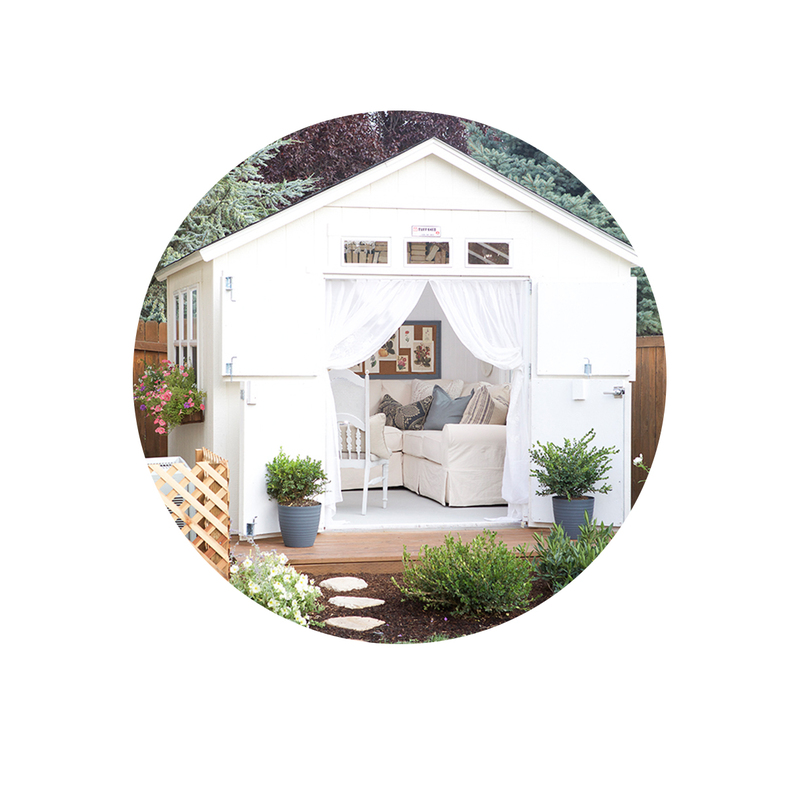 To see more of my projects be sure to stop by my blog, The Wicker House. 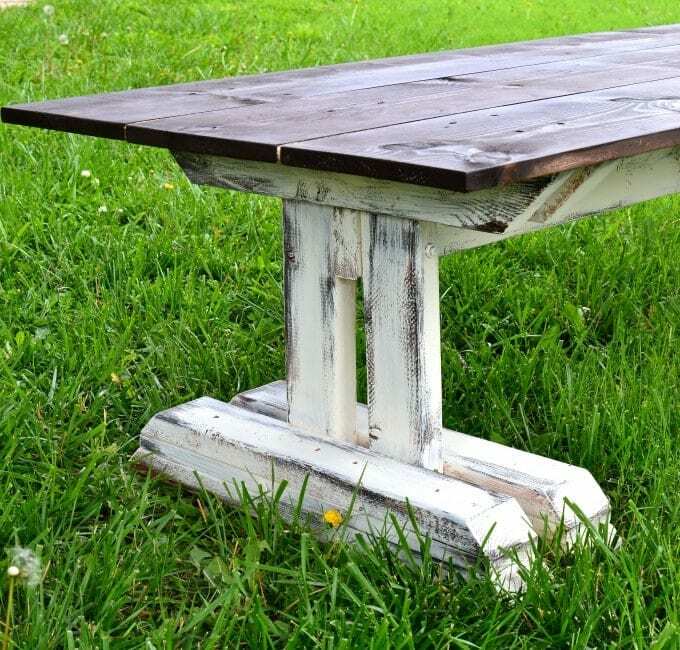 This is pretty creative!! 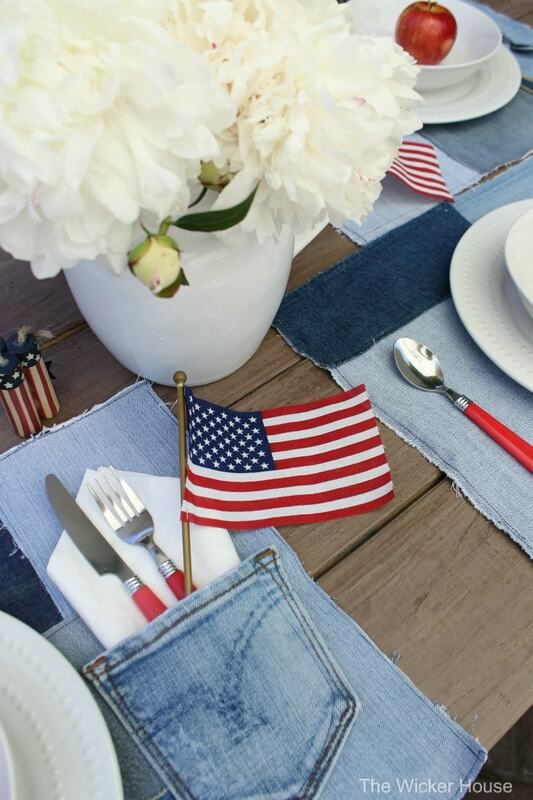 So neat and festive for the 4th coming up! !